Cellaring: With the balanced aspects of this wine we are forecasting 7 – 10 years under proper aging conditions. Since this wine was bottled in June, we recommend waiting for 6 to 9 months or decanting before enjoying. This wine features an intense inky red colour with a luscious red rim. 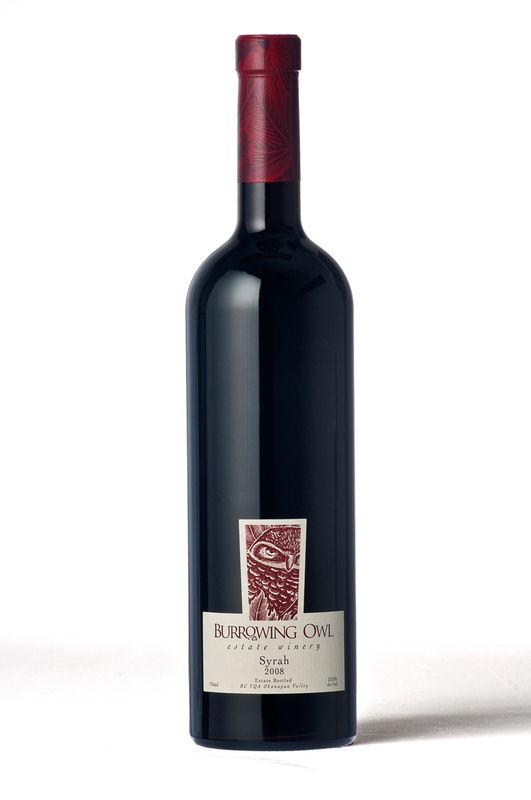 It has expressive black cherry, spice and red currant aromas, all dominated by fresh cracked white pepper. On the palate one can detect plum, blackberry and spice flavours with soft silky, round tannins and integrated acidity. At a young age this wine is showing amazing potential yet we expect it to be very drinkable in the next 6 – 9 months, preferably with decanting. 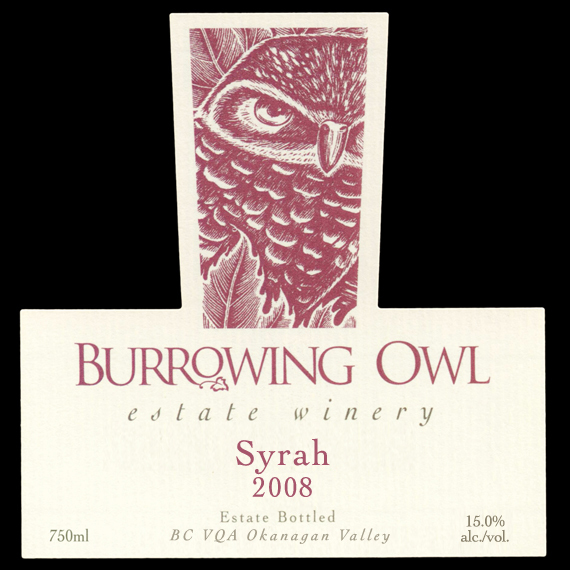 The grapes for this wine were harvested in October, 2008 from the Burrowing Owl Estate vineyards. The fruit was destemmed, lightly crushed and gravity dropped into closed top stainless steel tanks and then warmed and inoculated with our preferred syrah yeast strains. The fermentation was approximately 20 days, remaining on skins until the wine was pressed off and transferred into batch appropriate barrels for malolactic fermentation. At the completion of malolactic fermentation, the wine was racked off of its lees and transferred back into it batch selected barrels. The barrels were a mixture of French, American, and Russian oak (35% new oak) where it was aged for 12 months with occasional rackings until bottling.